Users of the official Feedback Tracker may have noticed some recent additions to the bug reporting site. Our QA heroes have now added two new projects: Arma 3 Security and DayZ Security. Naturally, we'll cover the part related to our project. Arma 3 Security is a new space used to report security issues (such as hacks, exploits and vulnerabilities) by our players directly to the developers. We're keen to hear about any exploits, potential security issues, memory hacks and others. Having a dedicated place for such reports on the Feedback Tracker can serve this purpose well and speeds up the process of tackling game-breaking issues and exploits. Be sure to check the initial description before submitting a ticket. There are some cases we're not able to influence and those should be reported to our partners (such as bans issued by BattlEye) or the standard Feedback Tracker section. The members of the Quality Assurance department are looking forward to the reports! 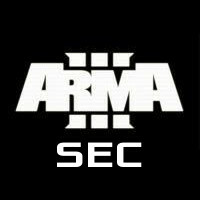 DESCRIPTION Space is used to report security issues (such as hacks, exploits and vulnerabilities) concerning the Arma 3 project. Please review the following guidelines before you report an issue: What kind of issues should I report here? Any security issue that is valid for a clean vanilla public build of Arma 3 (without mods) Common examples include: Script Commands used for abuse or exploits Memory Hacks (functions used to hook into memory processes) Remote Code Execution Access Rights Elevation (such as acquiring server administrator rights illegitimately) Server Stability Issues Systems for hiding unsigned PBO files Methods for unlocking DLC Methods for decrypting EBO files What kind of issues don't belong here? BattlEye issues - please visit battleye.com/support/ instead Reporting hackers - please visit battleye.com/support/ instead Reporting cheating websites - please visit battleye.com/support/ instead Reporting websites selling DLC unlockers - please file an Arma 3 Private Bug Report or visit support.bistudio.com instead Issues discovered on modded builds or modded servers which do not not apply to a clean vanilla build (e.g. Exile money spawning services) - please contact the support services of the modders in question Methods of exploiting in-game bugs (e.g. 'wallhacks' caused by clipping through a wall - please file an Arma 3 Private Bug Report or visit support.bistudio.com instead Known and / or documented issues on the Feedback Tracker or our forums. Please try to search those sources before submitting an issue report. This will allow us to more effectively process issues. What should I include in my report? The quality of your report can be critical. To ensure that we are able to understand what you are reporting and the potential impact, make sure your report contains the following items: What type of issue are you reporting? (is it a memory hack, script exploit, network issue, etc.?) How can someone else reproduce the issue, step by step? (source code or a small addon containing the method with usage steps would be a great advantage) What is the impact of the issue? 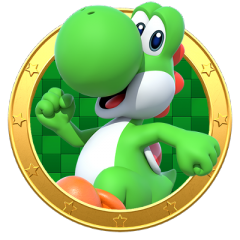 (does the issue affect other players? What does it allow you to do?) What is the affected game version (e.g. game version 1.64.138384 and / or Steam Build ID: 1333146) Thanks! On behalf of Bohemia Interactive, the Arma 3 development team and the global player community, we would like to thank you for contributing to a more pleasant gaming experience! You can enter the Feedback Tracker project here (log-in is required).